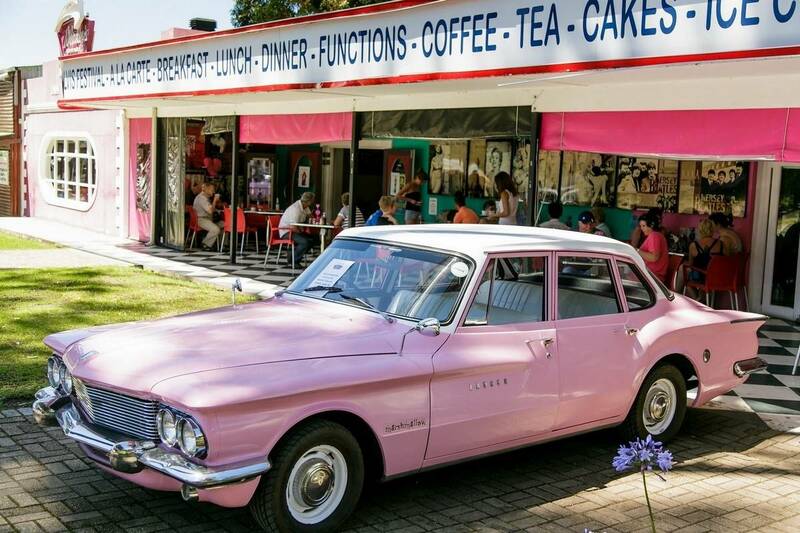 Whether you are staying at the magical Tsitsikamma Village Inn for a night or three, or if you happen to be making a stop along your way down the Garden Route, Shake, Rattle and Roll at the retro Marilyns 60s Diner! Proudly sporting the all American Burger and cold milkshakes, the diner invites you to a throwback of a dining experience altogether. Enjoy jukebox classics and take snaps of the stunning classic cars and bike collection, celebrating the sensational ‘60s era of none other than Marilyn Monroe and Elvis Presley. Our diner is a wonderful venue for all occasions, be it birthday parties or a team building conference, we offer great food and a jukebox to keep the atmosphere going. We have a number of props our guests are welcome to have fun with, and we put 101% into making the theme of the diner come alive for all functions and events.